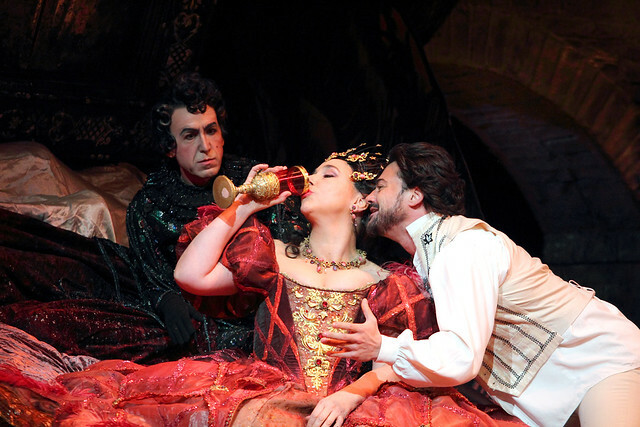 John Schlesinger’s Royal Opera production of Jacques Offenbach’s Les Contes d'Hoffmann (The Tales of Hoffmann) will be relayed live to cinemas around the world at 6.30pm GMT on 15 November 2016. Download the Les Contes d'Hoffmann Digital Programme for free using the promo code FREEHOFF and enjoy a range of specially selected films, articles, photos and features to bring you closer to the production. The poet Hoffmann falls in love with an opera singer called Stella, but his alcohol addiction and a strange Councillor called Lindof threaten to destroy the blossoming romance. Set in a tavern, Hoffmann reminisces about his three past lovers – Olympia, Giulietta and Antonia – and of the mysterious villain who has blighted each of his romances. Will his love affair with Stella have a different end? And will Hoffmann’s Muse convince him to put art before alcohol? Les Contes d’Hoffmann was Offenbach's final opera, and shows his versatility as a composer. He died just before completing it, and so never saw it fully staged. In the years that followed the composer's death, many different versions of the opera were staged, with others second-guessing as to Offenbach's true intentions. The opera's musical highlights include the lively chorus numbers, Hoffmann’s characterful ‘Chanson de Kleinzach’ and Olympia’s thrilling septet at the end of Act II, as Hoffmann realizes he’s been cheated of love once again. Film director John Schlesinger (Midnight Cowboy, Sunday Bloody Sunday) made his Royal Opera debut in 1980 with this richly detailed production, which includes an opulent Venetian palazzo complete with gondola. 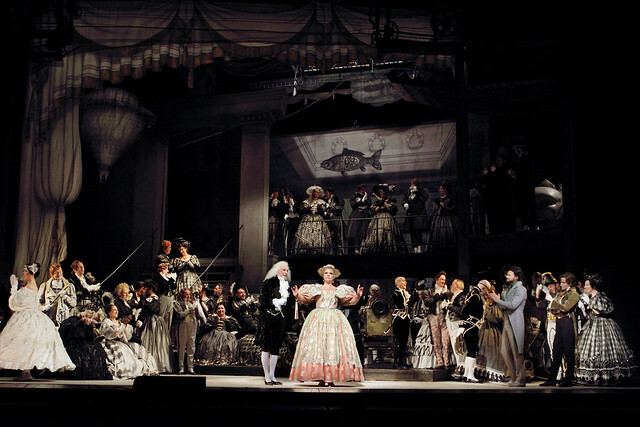 Now over 30 years on, Hoffmann has become one of the classic stagings in The Royal Opera’s repertory. We invited group of Instagrammers photograph the production from the wings. View photos from our #OperaGram Instameet. 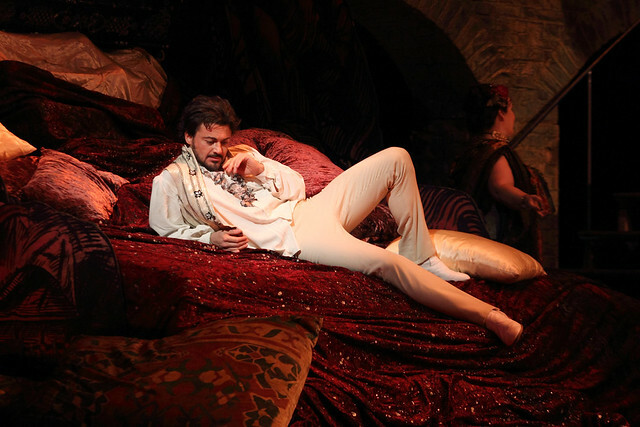 Conducted by Evelino Pidò, the production showcases a starry cast with Vittorio Grigòlo as Hoffmann, Sonya Yoncheva as Antonia, Christine Rice as Giulietta and Kate Lindsey as Nicklausse. Les Contes d'Hoffmann opened on 7 November 2016. Read audience reactions to the opening night and add your own review. After the relay, we will publish a roundup of audience tweets, so share your thoughts with the hashtag #ROHhoffmann. Les Contes d'Hoffmann will be broadcast live to cinemas around the world at 6.30pm GMT on 15 November 2016. Find your nearest cinema and sign up to our mailing list. Olympia is fantastic. What an amazing performance, utterly believable as a mechanical doll! !